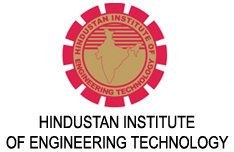 Hindustan Institute of Engineering Technology (H.I.E.T, Engineering Colleges Tamil Nadu) was established in Chennai in 1966 in response to the need for non-formal technical education. Hindustan Institute of Engineering Technology (Engineering Colleges Tamil Nadu) is run by the Hindustan Engineering Training centre (HETC, Engineering Colleges Tamil Nadu) Educational society and registered as a Technical Education Society under the Societies Act, XXI Of 1860. The institution is approved by the Director General of Civil Aviation, Government of India, for conducting Aircraft Maintenance Engineering Course and by All India Counsel for Technical Education and the Government of Tamil Nadu for conducting Diploma courses in Automobile, Computer and Mechanical Engineering courses. This institution (Engineering Colleges Tamil Nadu) has trained engineers and technicians in many disciplines of engineering. It is well equipped with Basic Workshops. Machine shops and Aeronautical Workshops. There are also electrical, electronics, heat power and air conditioning laboratories. A wellequipped computer centre with latest Pentium machines and Internet facility is also available for training. HIET (Engineering Colleges Tamil Nadu) is widely recognized in the Asian and African continents as a premier technical institution. Various Governments including the Government of Kenya, Tanzania, Zimbabwe and the Commonwealth Secretariat and several aviation organizations have sponsored students to undergo courses at HIET. HIET (Engineering Colleges Tamil Nadu) has trained over 36,000 engineers and technicians. Over 3,000 of them are in aviation, now working with various airlines and aviation industries in India and abroad. The vision of our founder Chairman Dr. K.C.G. Verghese, contributing skilled manpower for civil aviation industry saw the birth of H.I.E.T. (Engineering Colleges Tamil Nadu), in the year 1970. Since then this institute has trained students not only for aviation industry within India but also for 30 various countries of the world.